The 9 Life Path is a philanthropist and a humanitarian. If you have a 9 Life Path, you are socially conscious, and deeply concerned about the state of the world, you have compassion and idealism. You are a utopian, and will spend your life trying to realize some aspect of your utopian dream, sacrificing money, time, and energy for a better world. It is in giving that you will find much satisfaction. You have a broad outlook on life. You tend to see the big picture, rather than the minute details. You naturally attract people from all walks of life who can fit into your larger plans and take over the areas you find uninteresting. The person with a 9 Life Path is rarely prejudiced or accepts social biases of people. Instead, they evaluate people on the basis of what they can do for the larger cause. They are the true egalitarian. If you have a 9 Life Path, you are imaginative and creative, especially at harmoniously arranging the beauty already potential in the environment. These abilities can lead you into such fields as interior decorating, landscape art, and photography. But because of your strong social consciousness, you can be an effective politician, lawyer, judge, minister, teacher, healer, and environmentalist. Vocations that require self- sacrifice and have a clear social impact are common among 9s. You are often disappointed by the realities of life: the shortcomings of others, or of yourself. Somehow, you don't want to accept the imperfections of the world, a feeling that drives you constantly to try to improve upon it. But rather than be satisfied with your efforts, and those of others, you relentlessly push on, striving for greater accomplishments. You are often unsatisfied with the results. In short, you lack the perspective that would otherwise make it possible for you to enjoy life more fully, and accept its natural limitations. You have a controlled enthusiasm and the ability to finish what you start. A key to your personality is the necessity of sacrifice. You have to learn to let go of material possessions and relationships, the inherent lesson being that holding on too tightly to anything causes pain. Money comes to you through mysterious or unexpected ways: inheritance; the benevolence of someone who was inspired by your work; or a lucky investment. Conversely, if you pursue money for its own sake, after giving up on your larger dreams, you're likely to find yourself empty handed. The most successful and satisfying road for a nine is giving, sharing, and sacrificing for a larger goal without expecting anything in return. Your greatest chance at success is to tie your personal fortunes to an endeavor that makes the world a better place for others. Very often, this turns into a highly successful and lucrative enterprise, providing amply for you and your family. Your life rests on the axiom that the more you give, the bigger your reward. You are romantic, but your love is more impersonal. You tend to be focused on your dreams. When you are not in harmony with your true nature, you can fall to moodiness, or become aloof, and withdrawn. You can become timid, uncertain, and ungrateful, putting the blame for your troubles on others or the world. You have a gift for examining your life objectively, and at some distance. Be honest with yourself. By openly facing your shortcomings, as well as your strengths, you develop equilibrium. You are thus able to love and better understand yourself and all of life. 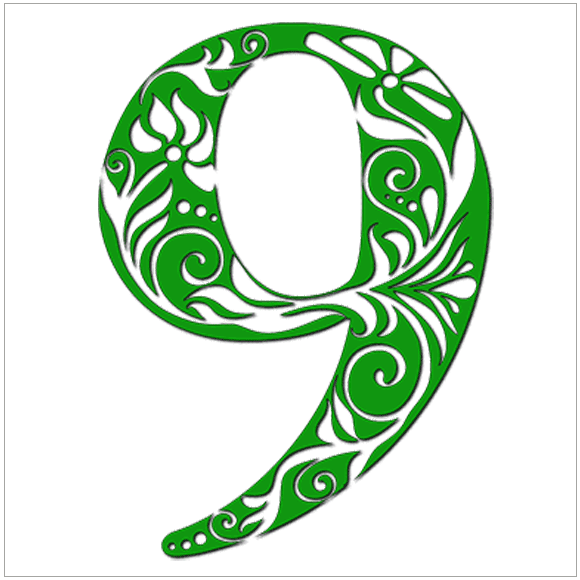 If you have a 9 Life Path number..